Tiffany & Bosco always works to make a difference in our community, and last year was no different. 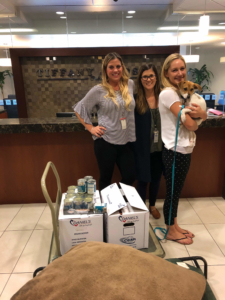 Our staff came together to help families in need, participate in school supply drives and even help the Maricopa County animal rescue centers across the valley. We had a busy year! In January, Tiffany & Bosco participated in Sweet Cases for Together We Rise, a non-profit that works to improve the lives of children in foster care. The initiative encourages community members to decorate duffel bags or “sweet cases” for children going into foster care, as well as fill them with much-needed items and toys like teddy bears. The sweet cases are used in place of the two trash bags that children entering the foster system typically received. As a result of all of the generosity and incredible decorating skills of our staff, 25 sweet cases were delivered to Onward Hope. In March, we participated in an Easter Basket Drive. We collected Easter baskets, candy, and small toys for the Salvation Army to distribute on Easter. Our efforts resulted in a $355 cash donation and 53 very full Easter baskets being delivered to the Salvation Army. Just in time for the summer heat, we participated in a Water Drive for the benefit of St. Mary’s Food Bank in June. We also held “Casual for a Cause” days to collect funds to help St. Mary’s Food Bank replenish their water supply. In July, Tiffany & Bosco held a Back-to-School Supply Drive. We went casual for a cause again, this time to collect various school supplies for the Salvation Army to distribute to students in need. We managed to collect four banker’s boxes full of school supplies and a stack of backpacks, which a representative from the Salvation Army dropped by to pick up. In addition to the school items collected, we were also able to send $555 to the Salvation Army. The monies will be used to purchase additional school supplies needed for the children in the program. We helped St. Mary’s Food Bank again in September, this time gathering to pack emergency food boxes. 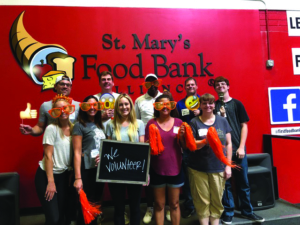 A number of volunteers from Tiffany & Bosco met at the St. Mary’s Food Bank distribution center to work together on an assembly line to pack food boxes. Next, Tiffany & Bosco went casual for a cause for Maricopa County Animal Care and Control. We collected dog and cat beds, blankets, food, toys, and monetary donations for the MCACC centers in the Valley. 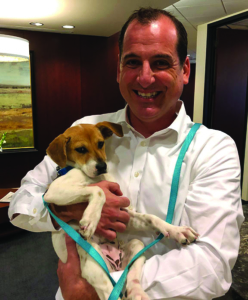 MCACC rescues over 100 animals per day and as of August 31, 2018, 13,554 animals had been adopted or returned home this year! Community service and team building are important to us at Tiffany & Bosco. We pride ourselves on the involvement we take in our community, especially when we can have a positive impact as a team. To learn more about our culture as a firm, visit our About Us or Careers pages.